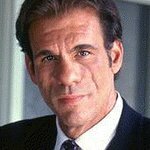 World-renowned actor and recording artist Robert Davi has released his re-imagined version of the Christmas classic song, “Mistletoe and Holly” today, to help The Salvation Army provide emergency assistance to the millions of families in need this Christmas season. Available from December 13 for $0.99 purchase on both iTunes and Amazon.com, 100 percent of Davi’s proceeds from the sale of his new single will be donated to The Salvation Army’s 120th annual Red Kettle Campaign, which kicked off nationally on Thanksgiving Day. Davi, a classically-trained singer, studied voice with some of the best when he was younger. He currently studies with celebrated voice builder Gary Catona. Davi, whose initial mission was to help mend America’s spirit by utilizing his voice talent to reinvigorate The Great American Songbook, launched his recording career with Davi Sings Sinatra: On the Road to Romance, which was released October 24 to critical acclaim. Donations will help raise money for the distribution of food, toys, coats, rental and utility assistance, and many other social services provided by The Salvation Army during the Christmas season and throughout the remainder of the year.